Today I bring to you the simplest recipe ever. It’s so easy and silly I am almost to embarrassed to show you, but sometimes things are so simple we don’t realize it. 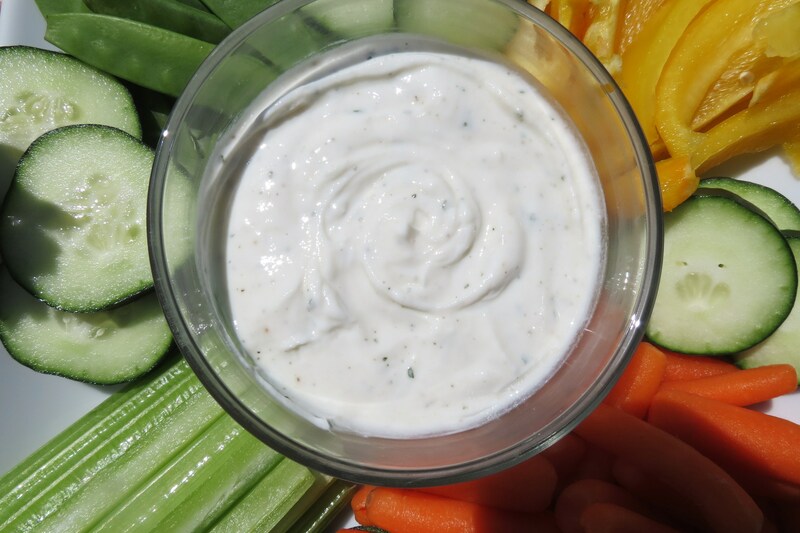 This is my quick, healthy version to Ranch Dip! First let me tell you, I love Ranch Dressing but I never buy it or order it because the calories are through the roof. So today I finally got my ranch dip for 18 calories per 2 tablespoons. Yup, 18 calories. This is so simple, gosh I can’t believe I’m even posting this recipe. I used 1 cup plain greek yogurt and 3 teaspoons of Hidden Valley Ranch Seasoning. You know the stuff in the packet? Thats all! 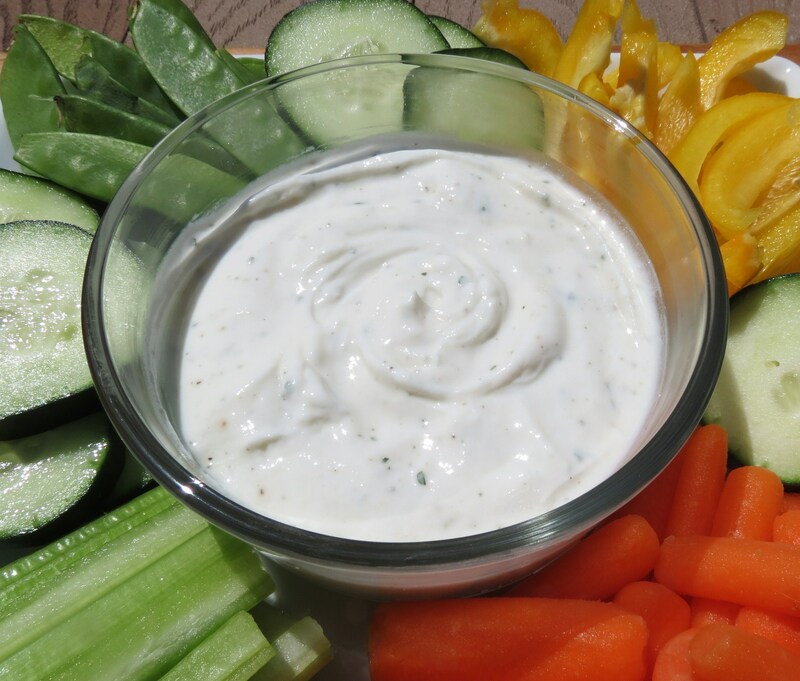 This is a creamy dip that is so perfect for dipping your vegetables in. I made this twice last week to take to work. Makes for a great snack!! I tried to make my own ranch dressing and it tasted ok, but honestly so far I like this one better. It has that rich, creamy, thick taste that I like in a ranch. If you wanted it to be more of a dressing, I would add milk, about 1 teaspoon at time. Mix until it’s the consistency you like. This dip lasts about 4 days in the refrigerator so it’s perfect for making ahead of time. See what I mean about it being so simple and almost silly? Either way I like it and wanted to share it with you. 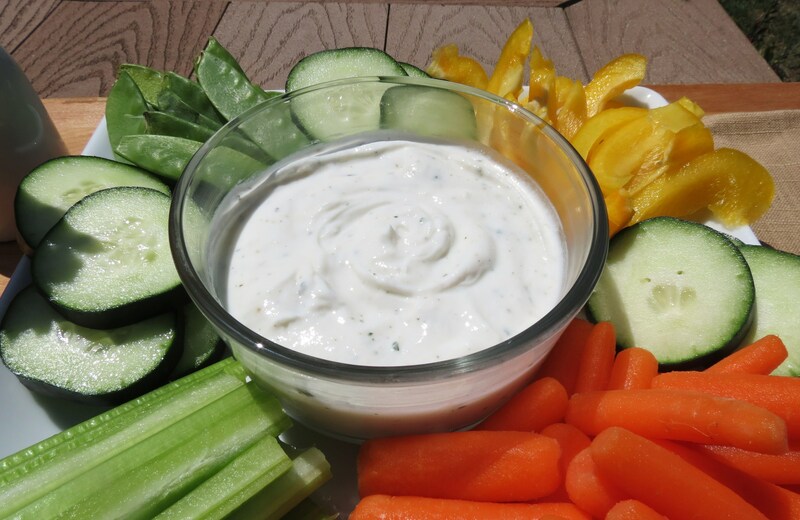 A rich, creamy, healthy ranch dip perfect for topping your salad or dipping your vegetables in. In a bowl mix ingredients together. Refrigerate for a couple hours before serving. Well my friends have a lovely Sunday!!! Today I believe were going to breakfast and I don’t know what is up for the rest of the day. Maybe some cherry picking? Happy Mother’s Day! Oh Mom, if your reading this! I love you. Hope you enjoy your Coach Purse I got you! 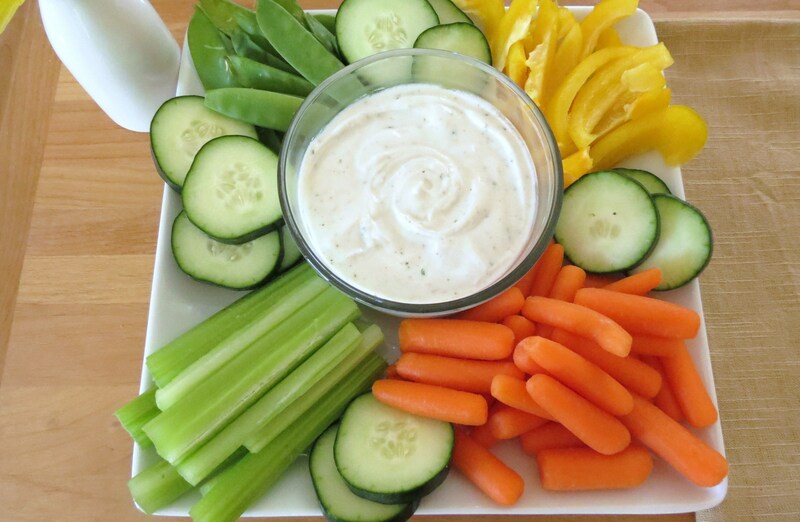 I love dips like these! Perfect for a movie marathon and healthy munching! Happy mothers day!! Thanks Jesica! Happy Mother’s Day to you!! Have a great day! 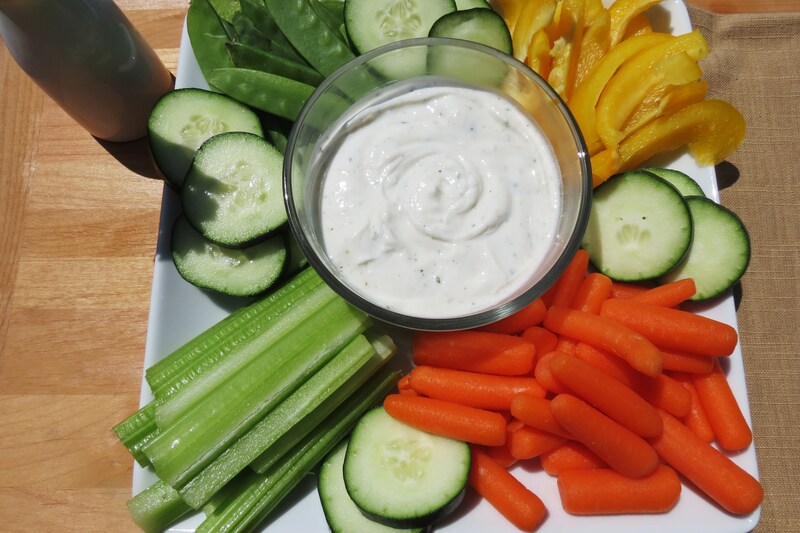 I love dips of all kinds, especially ranch! I have seen great recipes using a packet of HVR mix. Gotta love that stuff! I know the flavors are so perfect in that little packet. Hope your resting with Bon Bons today! Happy Mother’s Day! Oh, how simple and tasty!!! And your veggie plate is so colorful and enticing!! i love making dip alternatives. If you have never tried “quark” try it. The nutritional values are incredible! What is quark, I never heard of it. 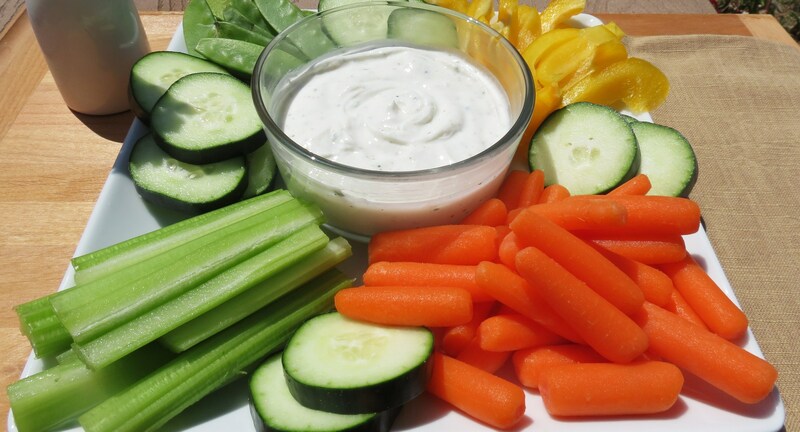 I just love trying different kinds of dips. Brilliant….absolutely brilliant! It’s always the easy ones that are the best! Thanks for posting! I love ranch but was scared away by the crazy amount of calories it had. This recipe looks like it keeps the taste but obviously gets rid of so many needless calories. Your welcome. I know it’s a simple recipe, but it’s tasty and easy and sometimes we need that.